This is a suite that is actually dedicated to Doge Enrico Dandolo, who is the 41st Doge of the Most Serene Venetian Republic. 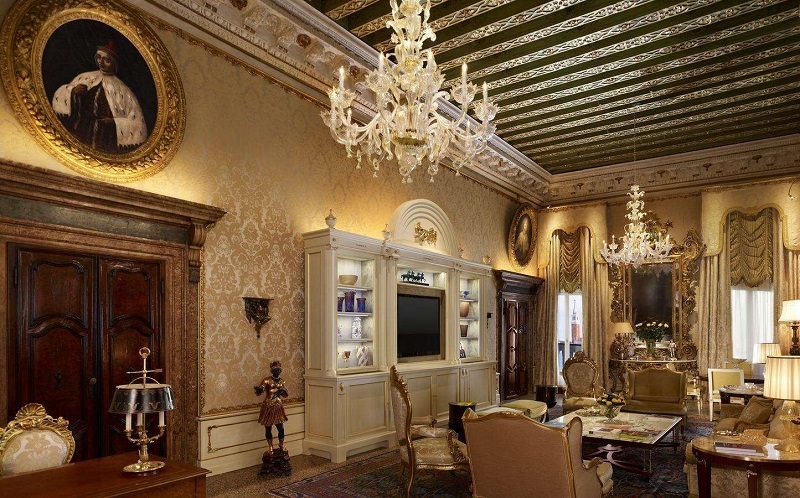 The suite interior was renovated by Pierre Yves Rochon in 2012, it is furnished with gilded mirrors, precious antiques and unique portraits of Venice’s ruling doges by Ermolao Paoletti who is a 19th century Venetian artist. Two Murano glass chandeliers assist in creating the right ambiance in which you can simply experience how to be a 12th-century, Venetian ruler, with your own balconies looking directly at the Grand Canal, Riva degli Schiavoni and the Venice lagoon panorama. Click the next ARROW to see the next Hotel!